Not a toy. Use only under adult supervision. 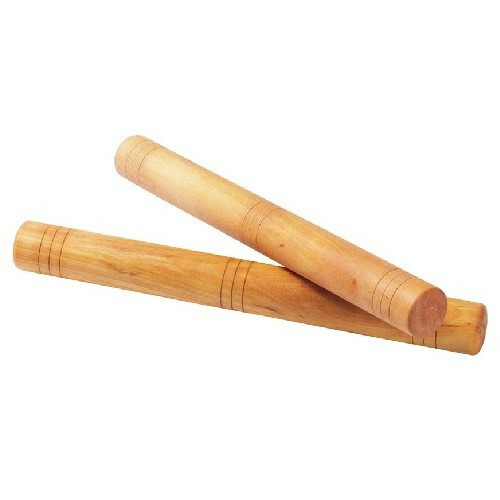 Wooden percussion sticks used in Toddler Sense classes for "How do you do?" Develop hand-eye coordination and muscle memory. Stimulates music-making and a sense of rhythm.